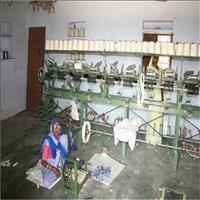 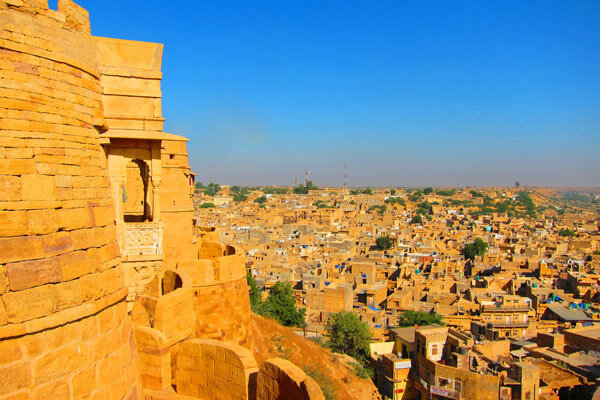 The golden city was founded by Rawal Jaisal, a descendant of the Yadav, a Bhati Rajput in 1156 A.D. 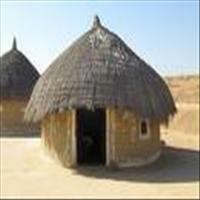 It was on the advice of a hermit Eesul, that he also shifted his capital from Lodurva. 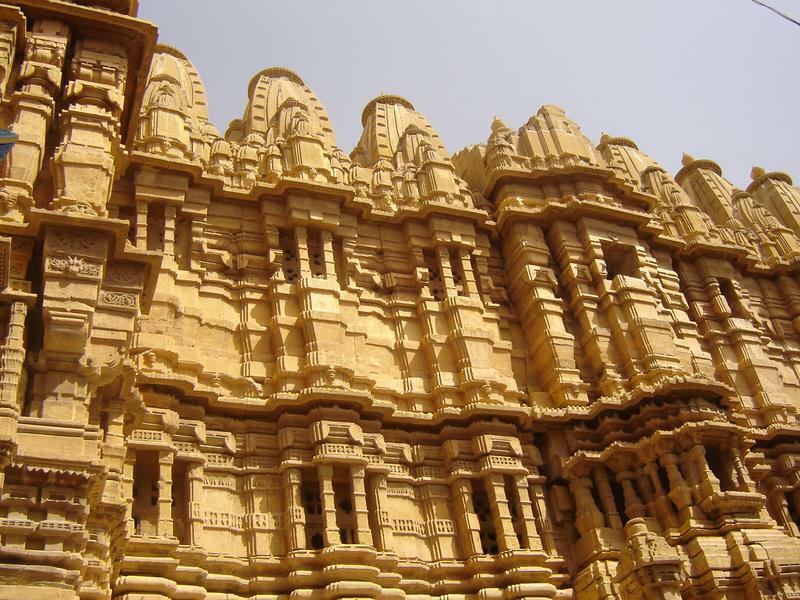 A legend goes that once when Lord Krishna had visited this place, had predicted that a Yadav would build his capital over here which would be formidable for centuries. 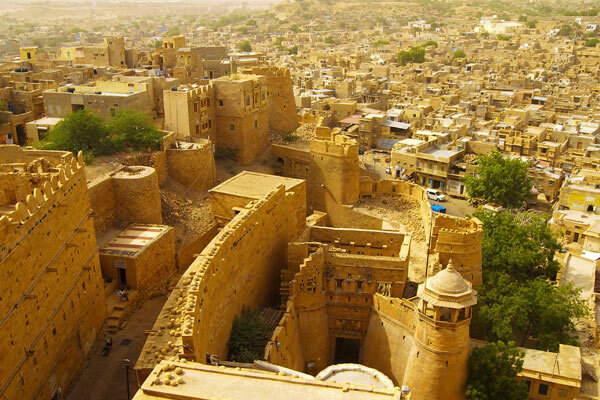 Jaisalmer was well protected due to the hostile landscape and Bhati Rajputs, who are known for their valor and chivalry. 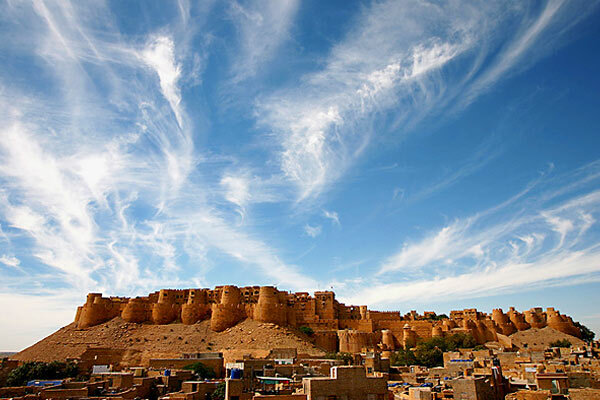 They levied taxes on the caravans that traveled the ancient spice route on their way to Delhi and went on rampage over the nearby fortress acquiring huge wealth for the city. 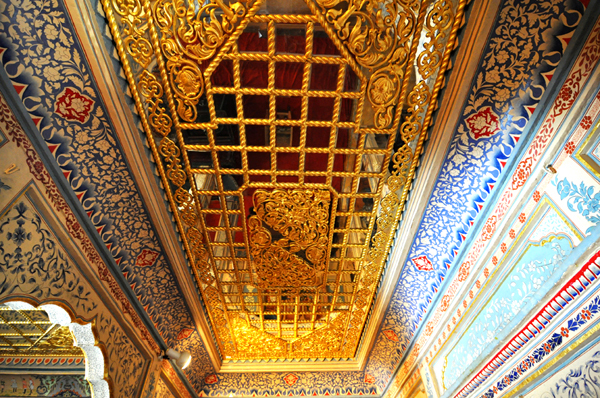 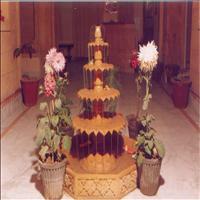 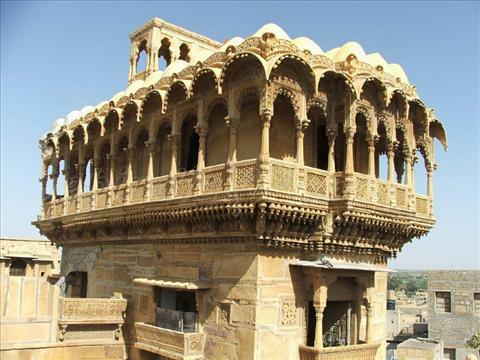 Thus not only the royalties but also the merchants benefited and they displayed their wealth in their havelis. The glory of Jaisalmer got affected with the advent of the sea trade. 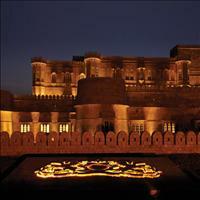 Today this desert city is famous for its intricately carved havelis and old Jain temples. 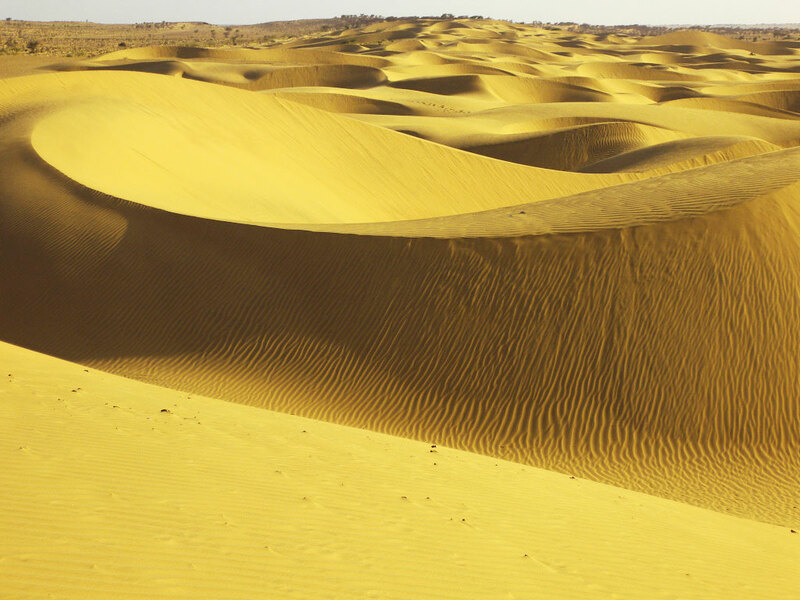 The sand dunes make it one of the most important tourist destinations in the country.<br />The perfect time to visit is during the desert festival in January / February, when the city dances to the melodious rhythms. 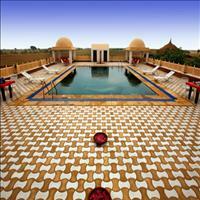 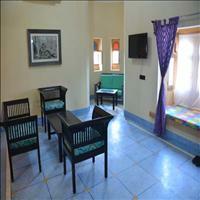 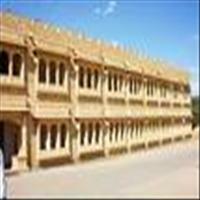 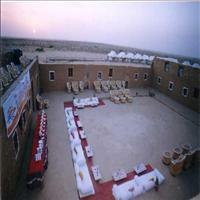 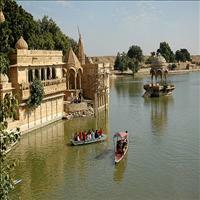 Jaisalmer a beautiful city with harsh climatic conditions is located in the heart of the Thar Desert. 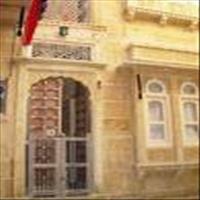 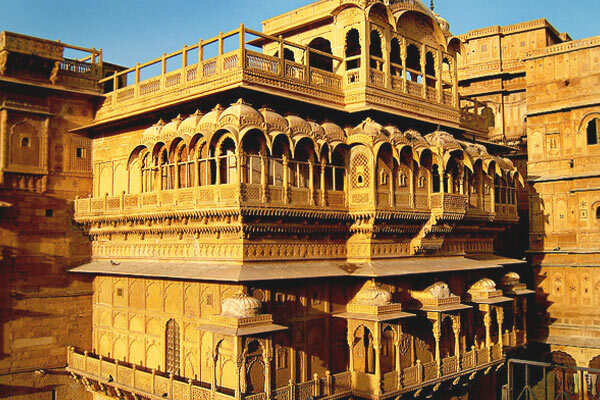 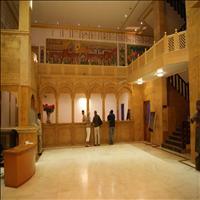 Rightly called the museum city Jaisalmer involves vivid visions of valor, chivalry and love. 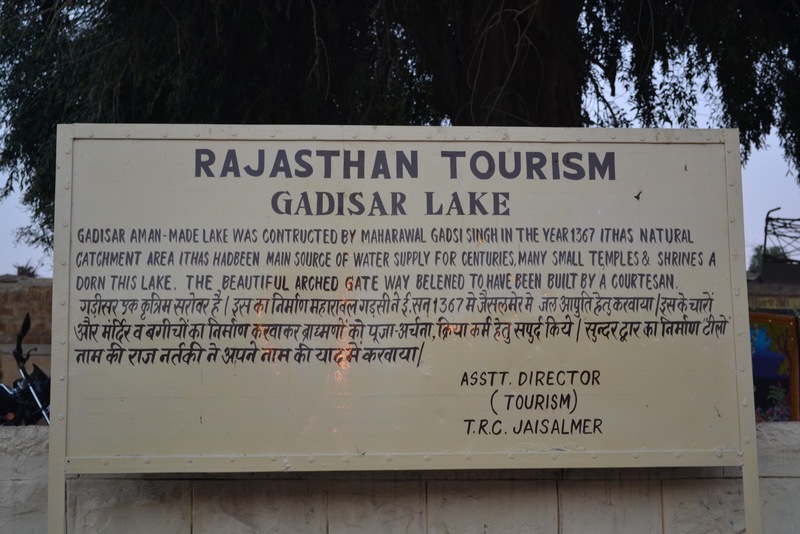 Barmer is 153 km away from Jaisalmer. 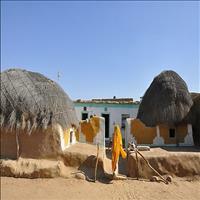 The present town was founded by Rawat Bhimaji on the side of a rocky hill which is crowned by the ruins of an old fort. 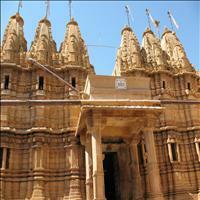 The places of interest are the temple of Balarikh (Sun), with a wooden idol and the ruins of Juna Barmer. 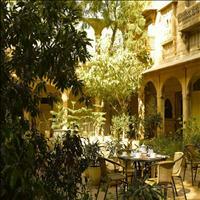 This place can be of delight for the archaeologists. 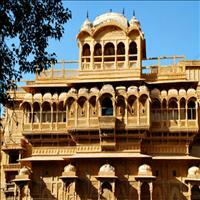 This lively desert town is well known for the hand block printing, carved wooden furniture and colorful costumes. 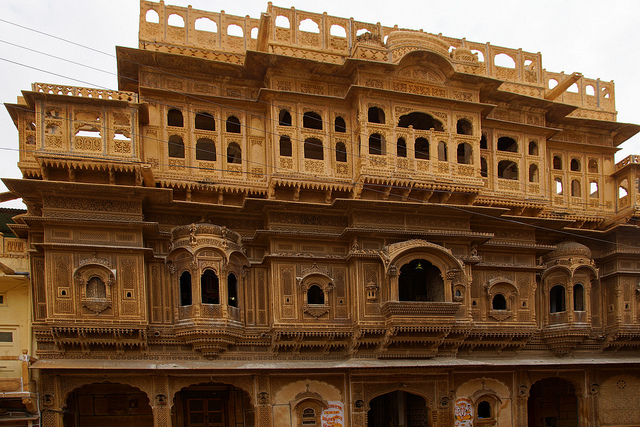 Intricately carved beautiful havelis are strewn all over Jaisalmer. 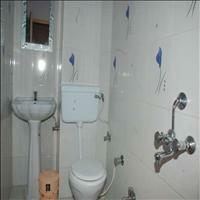 Each has its own characteristics. 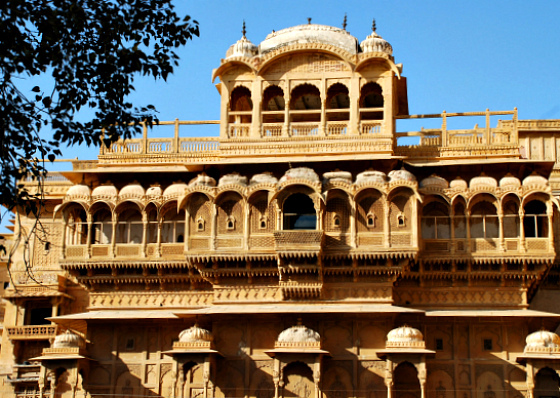 Some of the important are:\r\nNATHMALJI KI HAVELI: Carved by two brothers in the 19th century, the intricate architecture in stone is the epitome of beauty. 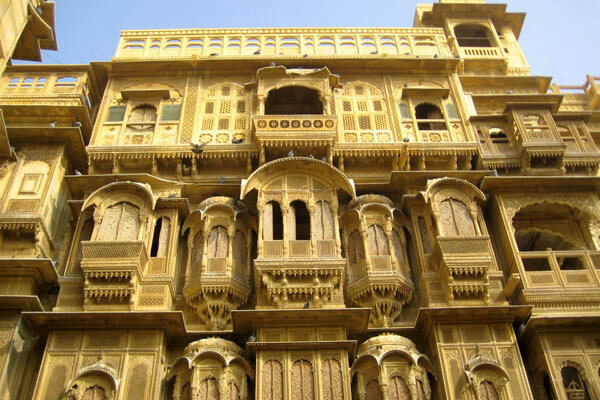 The interior walls are adorned by the paintings in miniature style.\r\nPATWON KI HAVELI: One of the most exquisite buildings in the walled city, which truly exemplifies the architectural style typical of erstwhile Rajputana. 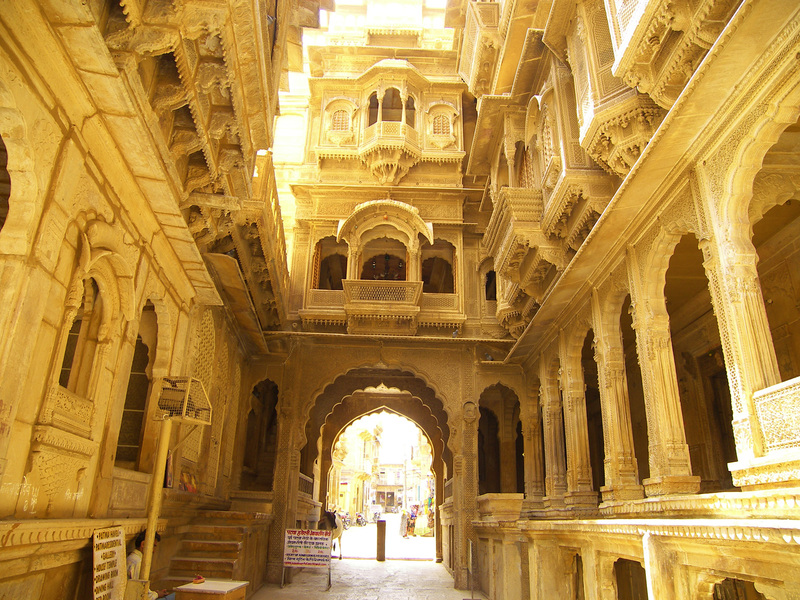 It is five storeyed and the extensive corridors and chambers are supported by intricately carved pillars.\r\nSALIM SINGH KI HAVELI: Distinctive for its blue cupola roof, this extraordinary mansion in yellow stone is covered entirely with intricate carvings and has an elaborate projecting balcony on the top floor. 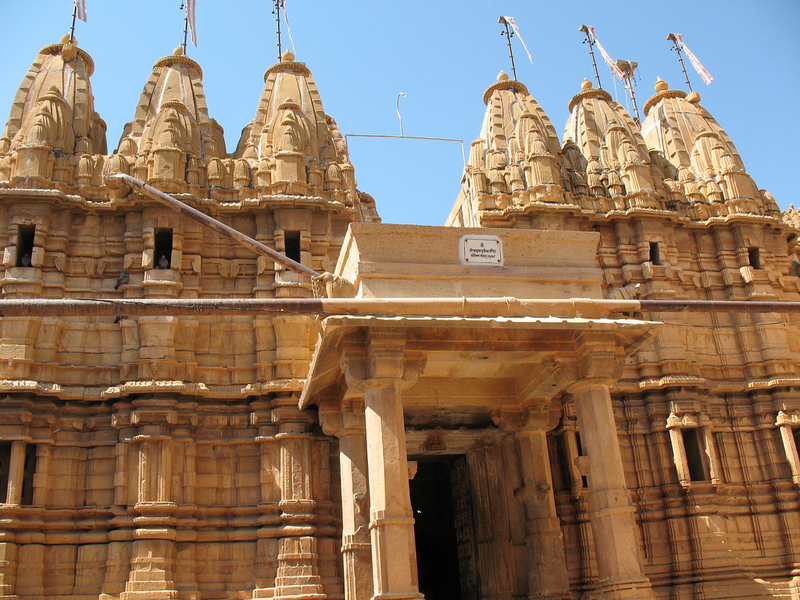 The fort has three beautifully carved temples dedicated to the Jain Tirthankaras - Rishabhdev, Smbhavanath and Paraswanath. 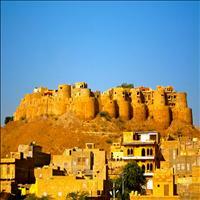 Within the bastion of the citadel are intricately carved temples dating back to 12th and 15th centuries. 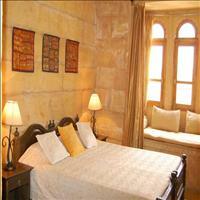 The carvings have been inspired from Indian mythology. 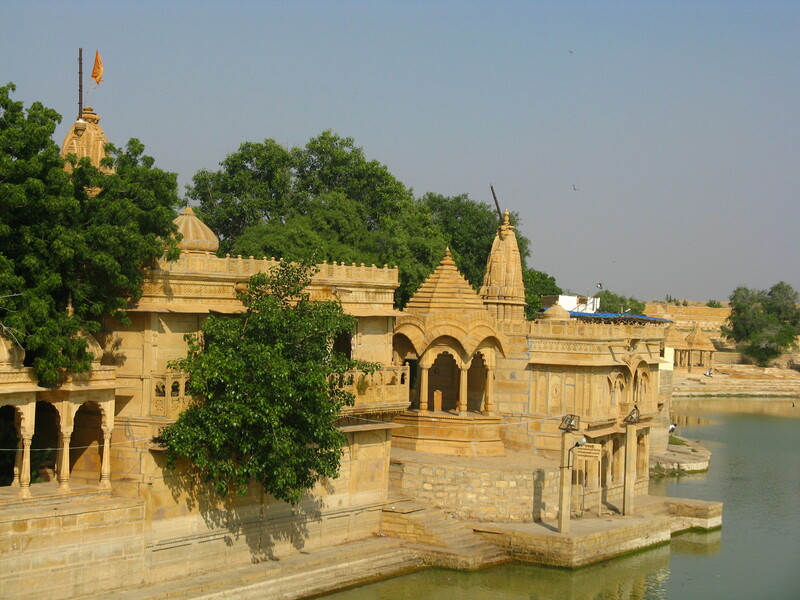 The other important temples are that of Shri Sheetalnath, Shri Shantinath, Shri Ashtapad, Shri Chandraswami and Shri Mahveer Swami Temples. Housing in the entire township in its ramparts this huge golden fort gives a scenic view of the desertscape from its 80 meters high perch on the hill. 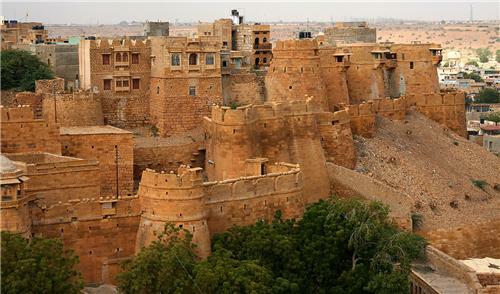 It has a cobweb of narrow lanes with havelis, five interconnected palaces and three beautiful Jain temples dating back to the 12th to the 15th centuries.\r\nThe golden fort built of sandstone on the Trikuta hill, seems like a majestic structure standing out of the sea of sand. 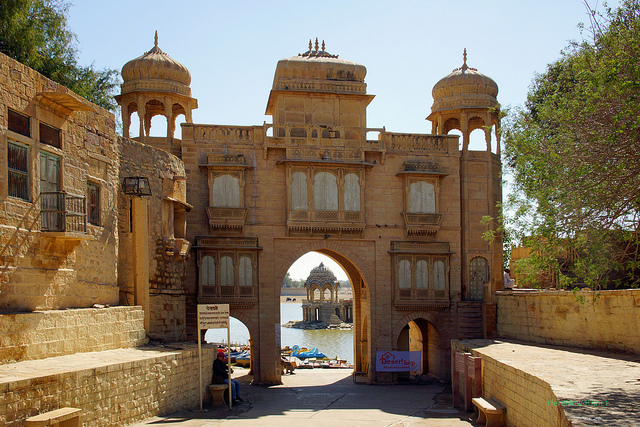 The fort is protected by the rugged high walls and approachable only through four gates, namely the Akhaiy pol, the Ganesh pol, the Suraj pol and the Hava pol. 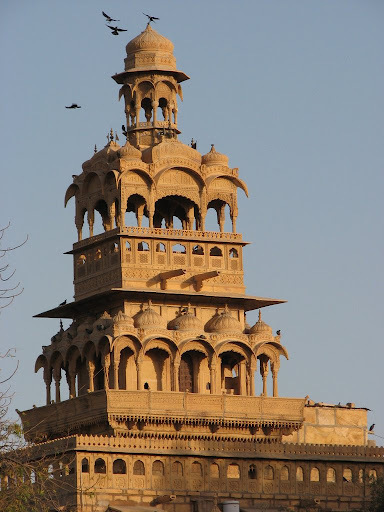 The palaces built atop the main entrance form an imposing edifice crowned by a huge umbrella of metal mounted on a stone shaft.\r\nThe fort also houses many old Hindu and Jain temples, beautifully carved havelis and the entire living area is well protected within the ramparts of the fort. 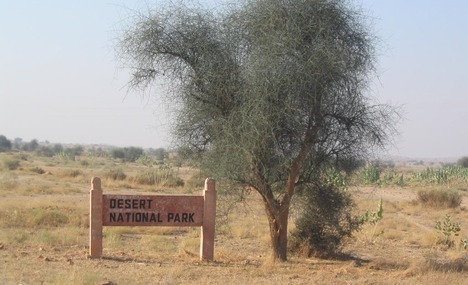 The park set in the backdrop of rugged terrain with shifting sand dunes and scrub covered hills, it is an excellent example of desert eco system. 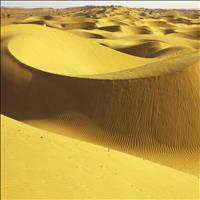 Sand dunes constitute about 20% of the total park area, while the rocks and the salt lake form an appropriate dwelling for the Black buck and the Chinkara. 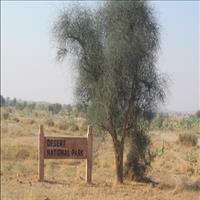 The other animals found in this area are the desert fox, the Bengal fox and the desert cat.\r\nSudhashri forest post is ideal place for watching the wildlife in the park. 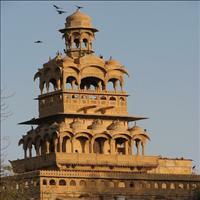 Birds like the Sand grouse, partridges, bee-eaters, larks and shrikes are also fund here. 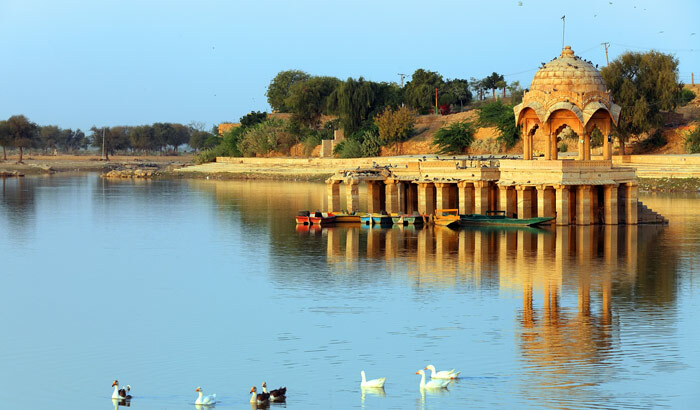 Demosille cranes also visit the park in winters, but the most important occupant is the great Indian Bustard, a tall and heavy bird with confidence and grace!